What cities and areas do you operate in? We operate in the Greater Toronto Area. Golden Line Green Care will actively work with you to correct any problems with our cleaning services. It could mean extra spot cleaning or revisiting certain areas of your home or business. We aim to make sure our service leaves you satisfied. What methods do you use to clean carpets? Commonly known as steam cleaning, we use a hot water extraction technique to remove dirt and grime deeply attached to the fibres of your carpet. Then we use industrial grade suction to extract allergens and particles. This latter process simultaneously dries the area. We follow these guidelines laid out by the vast majority carpet manufacturers. Is it true that cleaning your carpet makes it easier to dirty? Cleaning carpets with the use of soap which is not rinsed correctly can lead to the residue. This residue more easily attracts dirt and grime. Our method of hot water extraction minimizes the risk of residues and dirt collection. Will my carpet be completely dry after a cleaning? How long until it's dry? The amount of time it takes for a carpet to dry thoroughly is dependent on humidity and temperature conditions. While it is safe to walk on the carpet after a cleaning we recommend you use fans or increase air flow via HVAC systems to expedite the drying process. To prevent smudges, we recommend you leave protective discs under furniture to prevent stains until the drying process is complete. The drying process takes between 8-24 hours to full completion. The carpet will be safe to walk on, but protective discs should not be removed until the drying process is complete. Cleaning times vary based on the size/layout of the room and the soil levels of carpet areas. Additional spot treatments may lengthen the time for treatment. On average, active cleaning times take between 20-30 minutes. Will you move our furniture? Golden Line Green Care will move small items such as lamps or potted plants. Due to issues of liability, and in the interest of your valuable furniture, we request you move these items out of the area before our arrival. Especially fragile items should be moved before our team arrives. Do you guarantee that all stains and spots will be removed from a carpet or rug? There is a difference between stains and spots. Stains are blemishes that have seeped into a piece of fabric over a long period. Examples of fluids that often become stains can include mustard, ketchup, wine, etc. These will not come out, and thus Golden Line Green Care cannot guarantee their removal. Spots, on the other hand, are generally more recent, less severe top-level blemishes that have not yet become stains. We can remove and restore most spotting on fabric. Golden Line Green Care cannot guarantee that every spot or stain is removed. Some oils and substances can immediately and permanently discolour a carpet. What are these bubbles in my carpet after cleaning? These bubbles or ripples are temporary air pockets formed during the cleaning. As the carpet material dries these bubbles should lay flat. This may also be a sign that the carpet needs to be reset or restretched before your next cleaning. There is a difference between stains and spots. Stains are blemishes that have seeped into a piece of fabric over a long period. Examples of fluids that often become stains can include mustard, ketchup, wine, etc. These will not come out and thus Golden Line Green Care can not guarantee their removal. Spots on the other hand are generally more recent, less severe top-level blemishes that have not yet become stains. We can remove and restore most spotting on fabric. What kind of rugs can you clean? Golden Line Green Care has experience with handling rugs of any type; oriental, area, Indian, and others. If you have any questions about a particular type of rug, feel free to contact us. Is upholstery cleaning necessary? How often should I get it? Most upholstery manufacturers recommend your pieces of furniture are cleaned by a professional once every 1-2 years. This prevents dirt, grime, and bacteria from permanently damaging or hardening your upholstery fabric. In homes where pets are present upholstery or businesses with exceptionally high traffic upholstery should be maintained once a year. What types of upholstery and fabric do you clean? We have experience cleaning nearly all types of fabrics. Polyester, wool, cotton, leather, and microfiber. If you have a concern with a particular piece of upholstery, please feel free to contact Golden Line Green Care. We will provide information on our process for that piece of fabric. How long does it take for my upholstery to dry after cleaning? Drying can take between 1-24 hours depending on the fabric, humidity, and temperature. The vast majority of upholstered furniture dries within the day. Take care to leave cushions off of drying furniture, so airflow moves throughout the fabric. Can you remove all odors from fabric? We will always try. Some odour stains, including pet stains, can be difficult to remove from upholstery. The treatment effectiveness depends on the type of fibre and severity of the stain. My furniture says “dry cleaning only”. Can Golden Line Green Care clean it? Air ducts are the passageway for the air you breathe in your home or place of business. Dirt, debris, and mould can grow in neglected ducts leading to respiratory issues for the occupants. Additionally, blockages in air duct systems will decrease the efficiency of your HVAC. This results in higher utility bills with lower system effectiveness and reducing the life expectancy of your system. 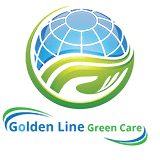 Golden Line Green Care will ensure your HVAC is running at maximum efficiency and prevent the growth of mould/mildew. Should I schedule maintenance for my Central Vacuum System? Golden Line Green Care removes any clog in your system and prevents future clogs from occurring. A full inspection is taken place to ensure all airways connected to the central vacuum unit are taken care of. We recommend you regularly schedule maintenance for your CVS to operate at full efficiency, save energy, and prevent blockages. We use a steam pressure cleaning system in conjunction with brushes, detergents, and cleaners. We aim to strip waxy mould build-up and loosen the hold of dirt embedded in the grout. What is a colour seal? Colour sealing is a permanent solution to restore the appearance of grout. We offer a selection of 12 different colours which are applied as a layer of colour across your grout lines. This results with that clean, “new” look of freshly laid tile and grout. This seal protects your grout from heavy stains, thus decreasing the need for future maintenance. How long does a colour seal take to dry? In total, it may take up to 24 hours for the sealant to completely cure. However, the floor should be safe to walk on within 30-45 minutes of application. It is essential to prevent any spills on a seal that is still curing. What kind of maintenance does a colour seal require? Colour seals actually decrease maintenance by preventing spills from staining the floor. However, to preserve the seal we recommend you use pH neutral cleaners and avoid bleach. How often should I get my patio, deck, or driveway pressure washed? While it depends on location, we recommend you schedule a full pressure wash twice a year. This is done to maintain seals on decks properly, prevent stains, and remove insect residue from seeping into the wood. Masonry is just as important to clean as wood and can also be damaged or stained. Why shouldn't I just rent or buy a pressure washer? Quality pressure washing units are expensive and are used rarely. In addition to their cost, amateurs using pressure washers have a habit of leaving streaks and uneven colour across surfaces. Not to mention, amateur pressure washing can lead to real damage to wood and masonry! Golden Line Green Care carries industrial grade pressure washers manned by trained professionals whose first goal is to make sure no harm comes to your residential or commercial property. What can you do about the stains on my masonry, concrete, and wood? We take the time to customize our pressure washing treatment solution to meet the needs of your business or commercial space. If the situation requires custom treatment solutions, then we have no problem using them for specific areas.